So lucky that at the end of the first week back at school, we have a long weekend. I'm spending today between my craft room and the television, which is tuned to the Black Caps vs Australia ODI. Cricket and cards - what a combination! 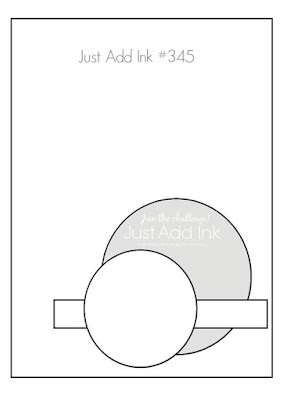 First up today was the challenge at Just Add Ink. Last night, when it was too hot to sleep, I spent time thinking about this sketch and was very pleased when things that made sense in the middle of the night still made sense in the light of day! Underneath the large flower is a piece of watercolour paper that I've coloured with watercolour pencils and aquapainted. I built colour near the centre. 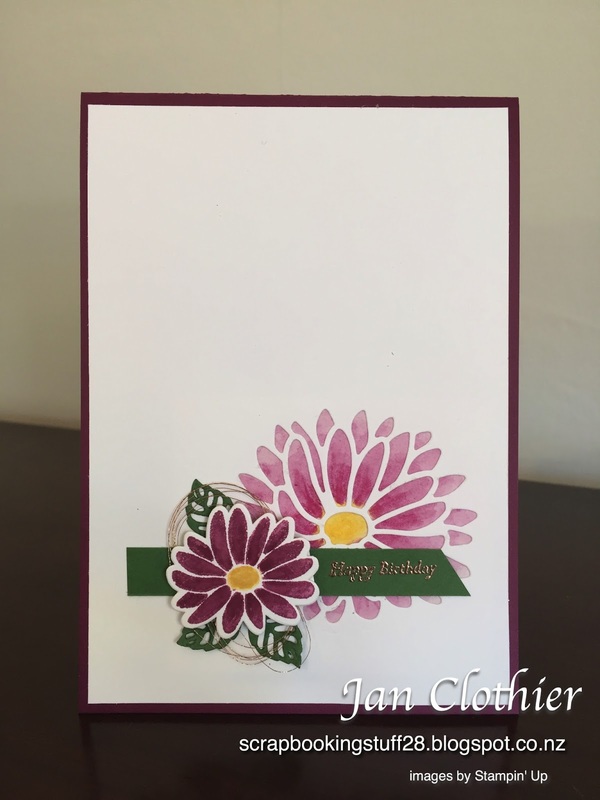 The small flower I stamped after colouring it with Stampin' Write markers then touched up with ink and a blender pen to give some shading. The yellow centres have a touch of Wink of Stella. I have to apologise for the quality of the photo of the embossing. After several attempts, I just can't get the light right. It is actually smooth and glossy and copper! I wanted a very clean finish to this card and like the final result. Card: Rich Razzleberry, Whisper White, Garden Green, Watercolour paper. Other: Copper embossing powder and Metallic thread, dimensionals, Wink of Stella, Stylish Stems framelits. aquapainter, blender pen. Isn't it great when you can take that idea and get it out onto paper and it works Jan! I love how your flowers are the same tone but different shade together they add such lovely depth! Thanks for joining us at Just Add Ink this week. I love how the larger flower is kind of a visual 'echo' of the smaller one. Awesome! 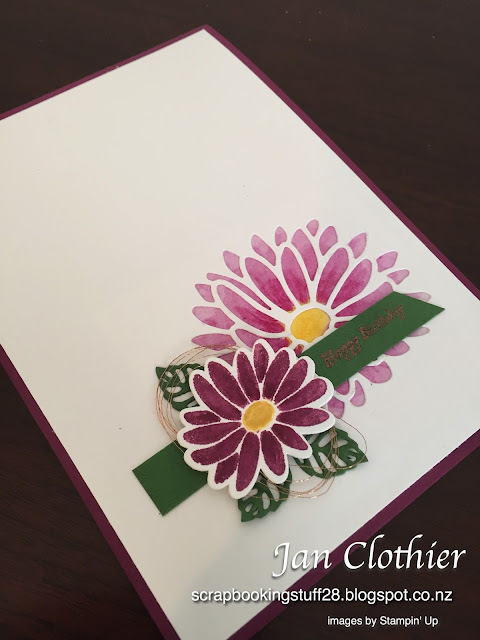 This is really pretty, and lovely use of our sketch, Jan. Thanks for joining in the fun at Just Add In this week! This is so beautiful, Jan. I love your colour choices & colouring of the flowers. Lovely way to use them with the sketch. So glad you could play along at JAI.